This package will include all of the following components and accessories available from Hydrogen Boost, described on our order page: Model 20 Hydrogen Generator, hose, mounting bracket, wiring kit, fuel heater, electronic control circuit, XCEL PLUS engine treatment, and new style Scangauge monitoring system.If you would like the entire system installed as well we will even do that for you if you come to the home office in Queensbury (Glens Falls), New York.Installation charge extra.We will even train you how to use, install, and sell the system.Foreign (out of USA) customers must sign licensing agreement and pay more for shipping. What is the Hydrogen-Boost ; Mileage Enhancement System? The Hydrogen-Boost System is a gas mileage enhancement system based on the main component, an on-board hydrogen gas generator.We build the most efficient and maintenance free, affordable, compact hydrogen gas generators in the world. Tests have shown over 95% efficiency on some of our prototypes.Our typical hydrogen generator will produce 1.5 to 2 liters of alternative fuel gas (hydrogen and oxygen mixed) per minute using twelve volts and 20-30 amperes. How Does Hydrogen Boost Work?Hydrogen, in combinations with other electrolyzed gases (actually Brown’s gas), introduced into the intake manifold of your engine, will accelerate the flame spread during combustion, thereby getting more of the vaporized fuel to combust during the initial part of the power stroke.The benefits of the addition of Hydrogen in an internal combustion engine, including a diesel engine have been well researched and documented. Dynamometer Tests have shown 18-31% mileage increases with equipment alone.Road Tests have shown 50-100% increases in mileage with the additional implementation of driving tips in the operator’s manual.Most engines equipped with electronic fuel injection and on-board computers adjust automatically, by cutting back on the amount of fuel injected.For optimum mileage gain with an extra-lean fuel ratio we recommend our electronic control circuit that helps the computer make the optimum adjustments. ## HyPower Pak®: http://www.hypowerfuel.com/home.html . (this address has been updated, add of ‘/home.html’ at the end). The HyPower Pak®is a retrofit device that can be installed and connected to any internal combustion engine, regardless of the engine’s fuel source. It is a closed chamber unit that produces hydrogen and oxygen on demand. There is no storage of hydrogen or oxygen, making the technology extremely safe. … Trouble-free Effective Service : Extensive bench and field tests have demonstrated over 400,000 miles of trouble free effective service from the HyPower Pak®.Installation of the HyPower Pak® is accomplished with no need to modify or make adjustments to the engine. The product can be used on all types and combinations of fuels: gasoline, diesel, natural gas, liquid propane, methanol, ethanol and bio-diesel. Due to the on-board production of hydrogen and oxygen by the HyPower Pak®, there is no requirement for the marketplace to undertake or conduct any infrastructure changes. This provides an immediate solution with no extensive costs to industry or the public. 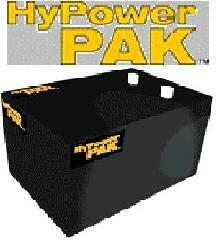 In fact, the owner of a HyPower Pak® can actually SAVE money due to reduced operating costs. The HyPower Pak®has been installed and tested on a variety of engines – everything from gasoline powered riding tractors to large diesel powered industrial equipment. Operation : The HyPower Pak®uses proprietary electrolysis technology to convert water to hydrogen and oxygen. There are no moving parts in the unit and it can be easily installed without modifications to the engine. Unlike competing technologies, no additional infrastructure is required to implement the use of the HP technology. Design : The design of the HyPower Pak®makes it easily installed on any internal combustion engine, regardless of the fuel source. © 2003 HyPower Fuel.com. All rights reserved. 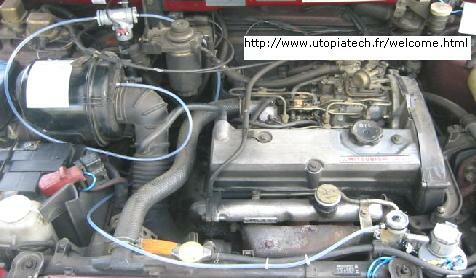 Unlike engine conversions for propane or liquid natural gas (LNG), no engine modifications are required. The only change to the engine is an insertion point into the air intake prior to the engine turbo. Yes. Under the Kyoto Protocol these emission credits are issued based on volume of GHG reduction. The engines which will be using the HPP technology generally incurs a high degree of usage resulting in high levels of GHG output. The resulting credits issued can be sold and represent another cash flow for the purchaser. Long-term usage has indicated that the HPP significantly reduces maintenance costs by decreasing the amount of carbon and other particulate matter in the engines oil. Users have found that oil changes are required less often. In addition, many of the engines moving parts experience less wear and tear due to a cleaner burn. Original Equipment Manufacturers (OEM) engine warranties are not be affected by the installation of an HPP unit. 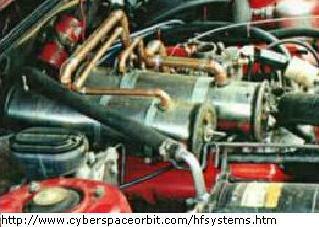 This is because the HPP does not alter the operation of the engine. The HPP has been in use for millions of miles with trouble-free operation. Currently we guarantee the HPP for 400,000 miles or 8,000 hours of trouble-free operation providing you maintain it within design specifications. 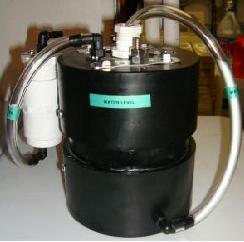 The only “servicing” required of the HPP unit is the need to add a distilled water approved by HyPower Fuel Inc. The HPP uses approximately one gallon of water for each 5,000 miles or 150 hours of usage. © 2006 HYPOWER FUEL, ALL RIGHTS RESERVED. Increased sophistication of engine computerization, exhaust gas recirculation (EGR), and ever-changing diesel fuel formulations can override the positive effects of hydrogen injection. The company has undertaken extensive research into the development of an interface control module (ICM) to work in either a stand-alone application with an engine’s fuel delivery system or in conjunction with the HPP. The ICM prototype is currently being programmed and tested. 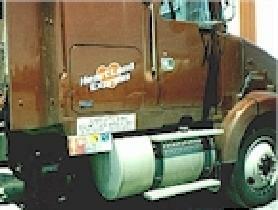 This product has significant market potential in the trucking industry. On June 1, 2006, the EPA lowered the level of allowable sulphur in petroleum diesel fuel. The new standard is 15 ppm. Lubricity analysis has indicated that the new 15 ppm low sulfur diesel fuel will exhibit lower lubricity than found in 500 ppm diesel fuel. Some engine manufacturers have proven that a single tank of diesel fuel with extremely low lubricity can cause the diesel fuel injection pump to fail catastrophically. Research indicates that using 1%-2% blends of biodiesel mixed with petroleum diesel fuel increases lubricity. 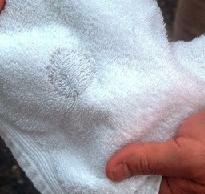 Tests using a 2% blend of biodiesel reduced the wear scar diameter by almost 60% (from 513 to 200 microns). The internal combustion engine has been a source of power for almost a century. During this time it has had a tremendous effect on the economic, social and environmental aspects of the world’s population. It truly is an economic engine. There are millions of new internal combustion engines manufactured annually. The engines run automobiles, agricultural/construction equipment, marine, power generators, along with the transportation of people and cargo. There are over 200 million registered passenger vehicles, heavy duty trucks and buses in the United States and Canada alone. The majority of these are powered by an internal combustion engine, fuelled by gasoline, diesel, natural gas or LPG (liquid propane). The world demand for these fossil fuels continues to rise with North America still being the largest consumer. As there are increased concerns for the environment and the supplies of fossil fuel supplies continue to dwindle, demand for more efficient technologies that address these issues is increased. The Hydro Power Pak is just such a technology. It will help address the consumption of fossil fuels by increasing fuel economy. At the same time it will reduce harmful emissions as a by-product from the burning of fossil fuels in the combustion cycle, thus diminishing the impact on the environment. HyPower has identified numerous market areas but has focused its technology development on the stationary engine and the heavy duty highway semi truck market. Although at first glance this may appear to be a small market niche, it represents over 50 million engines. Due to new standards for emissions and the desire by industry to cut operating costs, sales of the Hydro Power Pak will produce significant revenues for the company. 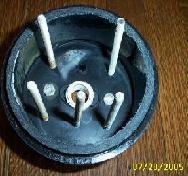 The market for automobile retrofit products is a function of perceived utilization and cost. The greater the cost benefits to the end-user (e.g. fuel economy) or the greater the perceived benefits (e.g. environmental protection), the greater the market acceptance. Perceived value for the majority of buyers will be in the form of cost savings by way of greater fuel economy. HyPower Fuel Inc. announced on Dec. 12, 2006 that they have run a Volkswagen GTi on their H2 Reactor hydrogen system that can allegedly produce sufficient hydrogen on demand, from water, to power the vehicle’s internal combustion engine. Media coverage from press release, including Yahoo news, Wired blog, Businesswire. The hydrogen produced is then allegedly burned in the conventional internal combustion engine.Interview with company, pending. HyPower Fuel, Inc. is a category leading company in the energy technology sector, focusing on providing innovative alternative energy through hydrogen production and hydrogen related products. HyPower has successfully commercialized the integration of hydrogen production and hydrogen insertion technologies using electrolysis to improve the overall performance and efficiency of the internal combustion engine while burning gasoline, diesel, natural gas, liquid propane, ethanol, methanol or a combination of fossil fuels and biofuels. HyPower’s signature product, the Hydro Power Pak (HPP), has demonstrated a significant impact on the performance of engines while at the same time increasing fuel economy, significantly reducing harmful emissions, inducing a cleaner more efficient burn, and increasing torque and horsepower. The HPP results in greater productivity, less carbon residue and sludge build-up and overall increased operating efficiency. 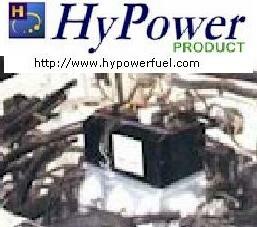 HyPower is also engaged in the research and development of hydrogen production technology and biofuel products. This fuel cell is very effective and efficient and saves about 40-60% fuel (Petrol/LPG); Very easy to install, you only have to connect 4 electric wires, plug a T connection to PCV valve hose, and fix the cell to the vehicle’s engine bay. The device creates 1liter of gas every 4 minutes (0,25 L/min) and with a series of cells you can increase it to 25%.The Cell produces H+O commonly known as Brown’s gas. It is perfectly safe and like running your car on water !!!!! No risk whatsoever at the same time no side effect on the engine..
– Did you know that driving 60 miles per hour and that at 70 miles an hour can make a difference up to 30% in fuel consumption. – If we drive with the windows open we consume 10% more fuel. – If we drive on concrete road we can take up to 30% more fuel. – Maintaining a correct Air pressure in the tire can save as much as 10% fuel. The Fractal Hydrosonic hydrogen generator is Safe, easy to install and is a real time production system. It eliminates unsafe accumulation and the heavy and costly containers associated with hydrogen accumulators. The production of the first generation system is one liter of gas(hydrogen+oxygen) every 4 minutes. The generator is constructed of strong PT 316 L stainless steel and engineering plastic. The electrical system is protect by a 25 amperes fuse. The water used in the system is safe dionized or distilled water and PH is reduce to 2 by adding citric acid. On bigger engines like say an 8-cylinder, one can install 2 cells for better efficiency. 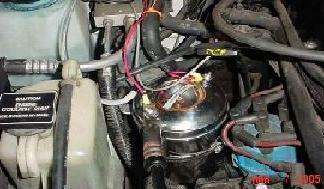 On a smaller 4 cylinder engine you can also install and extra alternator and install 2 cells, one cell can be connected to the throttle and the other to the PCV valve hose. The principles ; The Onboard Hydrogen Generator acts an additive along with your existing fuel i.e. Gasoline.The gas is produced by the Onboard Hydrogen Generator or the fuel cell as we commonly know it, which is drawn into the engine through the PCV valve vacuum hose. Thus the gas is mixed in the intake of the engine producing a new mix which goes to the combustion chamber and is ignited.The Oxygen+Hydrogen+Air+fuel Vapors create a very explosive mix. Means an excellent combustion mixture.The hydrogen as a gas additive enhances the strength of the combustion and thus help to save Fuel.The saving results change from car to car and the way we drive to. For example on a STS Cadillac, the car which gave 12 miles a gallon in city and 14 miles/gallon on highway , after installation of this system, on city driving mileage was about 21 miles a gallon and 41 miles a gallon on high way driving 60 miles by hour. 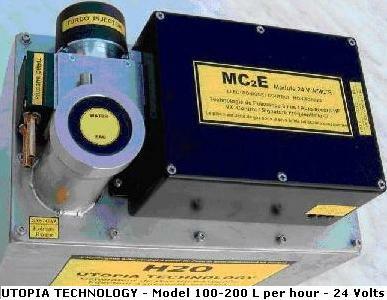 This is an ELECTRONIC HYDROGEN GENERATOR, made after extensive research (safety measure have been taken into account,).this hydrogen generator is blast proof, means it has been designed in such a way that the chances of any kind of blast within the chamber are nil. This hydrogen generator is designed and meant for your automobiles (cars, autos, trucks etc. ), it can fit probably in any car or motor vehicle. Just simply add water to the hydrogen generator and go (pls. don’t add any salt; by adding salt you waste your battery power in heat). Your fuel mileage could double or more, I call it a HYDRO-BOOSTER . 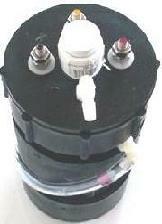 By installing this hydrogen generator; you do not require any changes in your engine. Your engine still runs on its parent fuel (Gasoline /Diesel or LPG whatever it is). 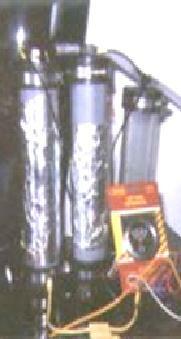 It does not hamper your current fuel supply system nor interferes with your cars electronics. Hydro-booster can be installed very easily by any one having little or no knowledge of cars engine, it hardly takes even one hour to install this hydro-booster. This hydro-booster will pay for itself and keeping on paying for a long time as this hydro-booster contains nothing which wears out or gets damaged. 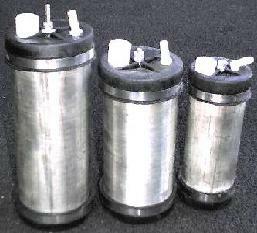 This hydro-booster contains two long lasting electrodes which are made of quality stainless steel, even the nuts and bolts are of quality stainless steel; steel has a unique property; it is very less corrosive. This hydro-booster is also used as engine enhancer, by installing this; your vehicles engine life increases dramatically, it reduces the carbon deposits in the engine; particularly in crankcase and piston rings. The exhaust/ muffler also stays clean and probably reddish brown in color due to almost no pollution. This is no miracle. Use of hydrogen in internal combustion engine is no secret, how you are going to use it, is a secret. This has baffled many great scientists worldwide. Research is going on worldwide in storing hydrogen in metal hydride tanks and uses it in internal combustion engine, but that also doesn’t seem to be viable at this point of time. Someday scientists will find a solution. Super hydro-booster plan (a section is removed to safeguard the invention) is shownin negative. This plan is ready and offered for licensing and manufacturing. System sold from 1,000 Euros for cars, and from 4,000 Euros for lorries (promotion), save average 50% on his diesel car (up to 80% on highway stable speed). They started a large scale production since 2005, to respond to thousands of demands ; they are also opening branches in different countries of Europe. Seems to be an easy and fast success because of the high prices of oil there, 1 liter of Diesel is around 1,5 Euro (1.7 USD/Liter = 7 USD per Gallon !) and the high quality of the product . they can reach a very high efficiency of gas production, that is not possible with straight12V DC on a single element. Depending of the vehicle, the kind of journey (city, highway), the saving could be between 25 and50 % for a personal car, a small tractor or a generator of80 Kva . On very big engines like lorries, the system will save between 15 % and 25 % (bigger saving would be possible by installing 2 or more basic units). Soon more reports on saving will be given, in full transparency. Our warranty ‘Satisfied or money back’ is based on a minimum of 20% of saving for a car. – Q: Are products of Utopia Technology compatible with modern engines like TDI/HDI ? A: Yes, there will be no problem at all for most of the cars, even new ones. Electronicaly monitored vehicles could need tunning by a specialist to adjust the air/fuel rate. Usualy the Generator will be immediately positive in effect. – Q: Will the Utopia Tech. Hydrogen Assistance Generator bring fuel saving, and how much? A: Yes, it will, and depending on the type of vehicle and journey (city or long distance), the savings created by our generator will be between 25 to 50% for a standard car, a small tractor or a genset below 80Kva . On the Trucks, the basic system will give savings between 15 to 25%, and savings above 25% will be possible by the installation of 2 or 3 system. Our Warranty ‘Satisfied or Your Money Back’ is based on a minimum saving of 20% for a small car. The reality is that savings on this kind of cars will always be much more than 30% if you follow our guidances. – Q: What is the average water consumption of a standard Utopia Technology Generator? A: Around 1 litre to 1, 5 litre every 3000 Kilometers (it’s 30 ml per hour for the model H2UT30. ## AquaTune Water Injection, has been updated and moved on the page ‘Other Fuels’ (see menu on top of page), with other Water Injection Systems. Our most popular item which the program starts with is the “candlestick” – IF IT WILL FIT YOUR VEHICLE – type Hydrogen Generator that you can drop into your windshield washer bottle, one wire to ground, one wire to switched hot, and the gas hose up the air intake to the engine.That’s it ! !In winter climates just use methanol based windshield washer fluid as usual to keep it from freezing(methanol without surfactants – a.k.a. – soap, or you can use a small amount of “HEET” gas line treatment in water; as “HEET” is simply methanol). A single candlestick booster produces about .5 of a cubic inch of gas per minute.It’s 1 1/4 inches in diameter and IS NOW 8 inches tall (so measure accordingly first)A single one will increase your mileage byONLY ABOUT 25%, BY ITSELF and you can add multiple generator boosters.We will not ship it if it will not fit your vehicle. Your vehicle will run smoother, with lower emissions, with more cruise power, and you’ll find you won’t need to press on the gas pedal as far to move away or along in traffic.WILL NOT harm the engine or any parts thereof or void a warranty – this is simply an ultra-high grade fuel generator.No pressure or danger of an explosion.This is a static free flow Hydrogen generator. Is this System Legal?Yes.It is not an after market automotive part.It does not modify, tamper with or defeat the emission control system in any way.It is not defined as a “device, apparatus, or mechanism intended for use with, or as a part of, any required motor vehicle pollution control device or system which alters or modifies the original design or performance of any such motor vehicle pollution control device or system.” as defined in California’s Vehicle Code at VC 27156(c), which is what is also known as “California’s anti-tampering law” as defined on California’s Air Resources Board (a.k.a “CARB”) website.It is therefore “CARB exempt”, not by Executive Order of CARB, but because it is a scavenger device of a natural fuel component of the atmosphere, NOT a “device, apparatus, or mechanism”. 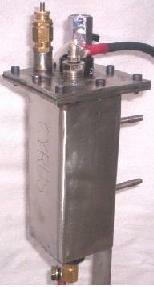 This product is simply a fuel generator that makes a combustible vapor from the constituent components of water that results in a fuel additive – which is Hydrogen -that is mixed at the air intake as a vapor to enhance the molecular structure of any Hydro-Carbon based fuel to make it burn cleaner.The fuel could be Gasoline, Propane, Natural Gas, or yes – even Diesel fuel. ## United Nuclear Inc., Electrolysis with solar panel + storage of Hydrogen under pressure. 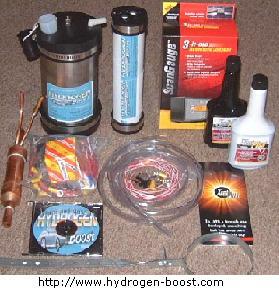 The United Nuclear Hydrogen Fuel System Kit converts your existing vehicle to run on Hydrogen. Complete kits will soon be available for various late-model cars & trucks as well as individual system components for those who choose to assemble their own kits. Included in the kits is our solar powered Hydrogen Generator that manufactures the Hydrogen fuel for your vehicle at virtually zero cost.Simply put, you never have to buy Gasoline again. Since there are no major changes made to your engine, you can still run your vehicle on Gasoline at any time. We now have over 50,000 trouble-free miles on our prototype vehicles. We are currently fleet-testing our systems and are in final preparation for sales to the general public. 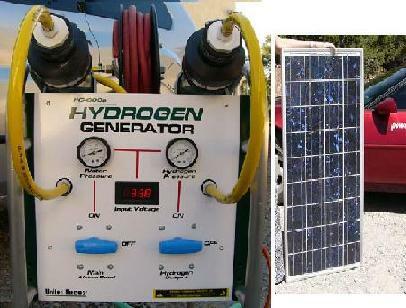 5 solar panels of 80 watt ,48.5″ x 22″, are required to run the Hydrogen Generator. Q. Can I save gasoline by adding Brown’s Gas to the motor air intake? A. This is an excellent use of BG. Studies from authoritative sources have proven that adding BG (as hydrogen, oxygen and water vapor) to the combustion process of carbon based fuel (like propane, gasoline and diesel) significantly increases the combustion efficiency. This is because BG acts as a catalyst, lowering the endothermic energy needed for combustion self-propagation. This allows the combustion process to be faster and more complete (lowering emissions). It also allows more of the fuel’s potential energy to be released as heat (increasing power). And finally, it allows leaner fuel ratios. So the net result is: The same power and performance using less fuel. As little as 50 liters per hour helps the gasoline combustion process to be more efficient. This is why our HyZor Technology is so effective. Q. Can Brown’s Gas assist the combustion of petro fuels? A. Absolutely and this is a good use for Brown’s Gas. Our experiments show that even a tiny amount of Brown’s Gas makes a noticeable improvement in petro fuel combustion. This is one basis for our HyZor Technology. HyZor technology is a product of Eagle Research. 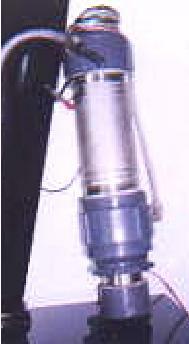 The HyZor is an automotive fuel enhancement device. 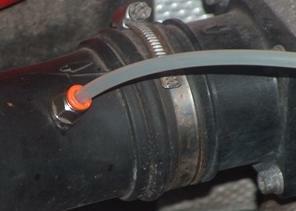 It produces Water/Fuel (Brown’s Gas), which is added to the air intake just prior to the air filter. The Water/Fuel (Brown’s Gas) increases the combustion efficiency of the engine, generating a net result of an increase in gas mileage. 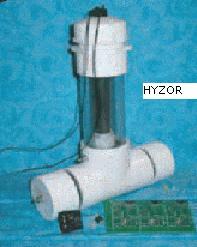 The HyZor is manufactured by Eagle Research, and is currently being sold by Water Fuel LLC for $450.00. The package will come with complete instruction manual, and all parts necessary to complete the installation. Any questions can be directed to the manufacturer or Water Fuel LLC. Currently there is a waiting list, which is approximately 1 month, so put your money down today, and start saving 12%-35% on you fuel costs tomorrow. The calculated average RTI (Return on Investment) is approximately 5 months, depending on driving habits, and maintenance of the vehicle. HyZor Technology is a direct result of combining decades of Eagle-Research’s combustion enhancement (gas saver) experience, research into all previous onboard electrolyzer technology and our own world class Brown’s Gas innovation. 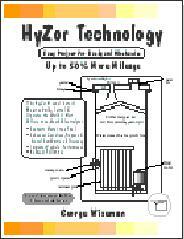 HyZor Technology shows how to build, install and operate the world’s most efficient onboard electrolyzer technology. If You’re Fed Up, Here’s A Low-Cost Solution That will Save You 21% or MoreWith Every Fill-Up! I’m Scott Mitchell and I’m an independent inventor with a B.Sc. in electronics. In a nutshell, the Hydro-Gen separates hydrogen gas from the natural hydrogen-oxygen mix in standard tap water (i.e. H²O). It then adds the resulting extracted hydrogen to the conventional air mix in a vehicle engine (e.g. gasoline, diesel, etc.) thus supplementing the expensive fuel with an additional low-cost (i.e. free) supplement — the hydrogen extracted from the free tap water, of course! Better Gas Mileage : Hydro-Gen users report an average 21% improvement in their fuel mileage. (Savings like that at the gas pump will add up very quickly). More Efficient Engine : Hydro-Gen will reduce carbon build-up in your engine thus allowing it to run more efficiently. (Less carbon build-up means more horsepower). Reduced Air Pollution : Hydro-Gen will reduce polluting carbon emissions from your engine. (You’ll be doing your part to reduce global warming). We have upgraded to a Heat Resistant, Carbon Impregnated ABS Generator. I have added many great options. (low fluid indicator etc). If you want more information about his generator, send me an email and I will send pictures of the generator I cut in half.My email address is [email protected] or call me @ (323)610-9866. Save up to 20-60% Fuel, with a Brown’s Gas Fuel Saver. BG3 Fuelsaver. As for Aout 2006: *** BG3 time of delivery 5 weeks extra because of strong demand !! – Q: Is it possible to install 2 BG3’s for more fuelsavings and install an extra alternator? A: No, the load on the engine will eat up the savings. – Q: How often do you have to check the water level?A: Depends on usage. – Q: Is the Hyzor from Eagle-Research the same as the BG3 ? A: No, Eagle Research’s Hyzor is a kit. Not easy to build and install, with not ALL the parts you need included. Although our BG3 costs less than the Hyzor, our BG3 has ALL the parts you need included. Including a manual on CD-rom. – Q: Is browns gas hydrogen more dangerous than gasoline? A: No, gasoline ignites at 500 to 800 degrees F.BG-Hydrogen will ignite at 1065 to 1095 degrees F.
– Q: Does a larger / or second alternator be better for more (browns gas) hydrogen production? A: No, the power from your excisting electricity sytem will be more than enough to produce large amounts of Hydrogen. In fact the extra power it costs to generate more electricity will lower your fuel savings. – Q: Do you need any modifications to your engine? A: No, you don’t need any modifications to your engine, just connectitinto the existing system. In the wintermonths just add alcohol. Otherwise the water could freeze and might damage your BG3 (not your engine). 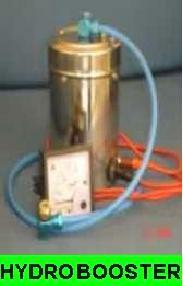 The HydroGator separates hydrogen gas (brown’s gas http://www.brownsgas.com/easysubpage0084.html ) from the natural hydrogen-oxygen mix in standard tap water. The input of the hydrogen fuel mix through your engine’s air-intake reduces the engines need for gasoline, diesel or LPG. This is how you save fuel! 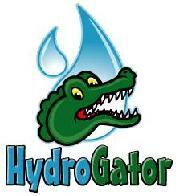 The HydroGator has proven to get an average 15->35% improvement in fuel savings. But it is possible to get even more savings. It will indeed pay for itself in short order with the gas prices of today. contact: [email protected] if you want this option. This electrolyser seems to be VERY DANGEROUS !!! BE CAREFUL WITH IT !!! FIRST: It is made of glas, that will explode very easily in case of ignition of the very explosive WaterGas, HHO, produced !! and it could wound you very seriously !!! Only a Metallic Vessel will prevent the risk of explosion in case of backfire/ignition. Gauge 16 for iron. SECONDLY: There is no “BUBBLER” between the generator and the engine, making it without protection in case of backfire form the engine, and in that case the ‘glas container’ will be immediately pulverised under the explosion .. IN THIRD: It is sold with a CATALYST BASED ON CHLORINE (see picture below), that will produce some DEADLY CHLORINE GAS under electrolysis!! They say: Catalyst: a bag of non-chemical, absolutely safe, food-grade electrolyte to get you started (more available at your local hardware/grocery). Zoom on the Catalyst bag, indicating Chlorine based powder, going to produce DEADLY CHLORINE GAS ! I Urge anybody that wants to make or sell “WaterGas Electrolysers” to study the Own Home made Electrolyser page of this website, see menu above, to learn a minimum of information about that technology of WaterGas, because used wrongly, this technology can kill. PS : http://freeenergynews.com is a very complete website/portal about alternative energies, visit it ! A WATER FUELLED CAR by Carl Cella ; I am the madman behind the US heavy-metal band, “Rampage”, but long before my musical success I was mechanically inclined, and the possibility of running a car on fuel extracted from water intrigued me no end.After reading all the information I could find on the subject of hydrogen generators, I built my first actual unit in 1983, mounting it in the trunk of a 1979 Cadillac Coupe de Ville. Date: 1/15/03 1:06:10 AM Pacific Standard Time ; hi kent ;Here is a real operating unit still need a percentage of fuel to keep the carbon around the rings. That’swhy you have to run a car in for a few thousand miles. Without the carbon the engine will not last . That’s the only reason the system in the previous file will fail. The fuel this unit generates is not hydrogen oxygen; it’s nitrogen hydroxide, nitrogen hydrogen and oxygen combined. If you look the motor is a 253 v8 with a lawn mower carby 1 inch bore. The system is fairly basic: 316 stainless 100mm pipe anode ,80mm pipe cathode inside the other one roughly equal surface area anode and cathode perspex end caps 1 12 volt relay 1 bleed valve to allow atmospheric air in . This is how the nitrogen is replaced. The atmosphere is over 70% nitrogen; the real work is done by the vacuum generated by the engine plus the 12 volt current . The only catalyst is a grain or two of rock salt. When you turn the thing off it generates 13 to 14 volts for a while. 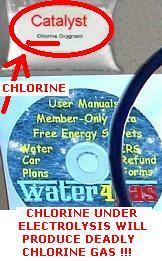 The car in the picture did 3000 mile on $20 fuel [petrol] [roughly [2 gallons] and two liters of water. They improve gas mileage, clean carbons out of your engine. The egas produced acts like a catalysis to your fuel. Higher octane combustion. Best of all you will be driving with cleaner emissions! For over 50 years International Institutions, Universities, Engineering Associations& Independent Testing Labs have compiled documentation and test results proving that small amounts of hydrogen added to the Internal Combustion Engine significantly reduces toxic emissions, increase engine performance & provides a more complete burn of the fuel. The added hydrogen gas from simple homemade hydro-boosters enhances the flame properties of the air-fuel mix & catalyzes the combustion of the hydrocarbon fuel. Improving the conversion efficiency of the world’s motor vehicles by one percent would reduce fuel consumption by one billion gallons per year! BUT remember that plastic containers are not suitable because they can’t support an explosion, in case of an exceptional back-fire; metallic container of more than 16 Gauge are needed. More than just plans. (AND NOT THE 5-6 PAGE REPORT SELLING ELSEWHERE ON EBAY FOR $5) This is a 94-page plans and manual set that is complete in every detail. Meticulously reworked and refined to make it totally functional and safe. An Incredibly Affordable System That Provides FREE Energy! Now you can run any vehicle on FREE energy! The HydroStarTM can power your engine with the incredible energy of hydrogen, nature’s perfect fuel. It’s more powerful than gas, but it’s trapped in every drop of water. And only the HydroStar can efficiently free hydrogen’s potent energy! 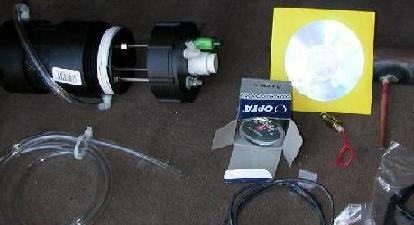 Best of all, the HydroStar is a simple “add-on” conversion. You don’t have to throw away or replace any part of your existing vehicle, whether it’s a car, truck, motorcycle, airplane, boat or van. The prototypical HYDROSTAR SYSTEM schematic is an exclusive offer made available only through Power Products and is in advance of the full system kit slated for release Fall of 2008. No exotic parts are used in the HydroStar, so it’s inexpensive. You need the advanced HydroStar System! The instructions are step-by-step and clearly illustrated to make assembly and installation an easy process to follow. And, as with all Power Products, the HydroStar system is fully guaranteed. You can’t lose! New Idea?The HydroStar is unique – nothing else compares to it. It’s compact, inexpensive, relatively easy to assemble, and totally reliable. But, the actual idea of using hydrogen is over a century old; it goes back to the very first engine. It was a great idea, but nobody could figure out how to turn the concept into reality. how the pulse waveform is generated; there are many ways to generate pulses, and the attached diagrams show a few. An Analysis of the Hydrostar Generator “Here is a Partial Improved Revision, Based on his Design.” Chemelec. PWM Control for a “Simple Hydrogen Generator”Latest Revisions: “April 18 2005. “This Circuit has been Tested and functions correctly, as a Pulse Generator for this purpose”. This Circuit Board Also Includes a Fine Frequency Adjust and on-board switches. DANGER: Hydrogen IS VERY EXPLOSIVE.//Be Very Careful with How you do all this stuff. ## Fuel from Water http://www.futurehorizons.net/just plans for sale. 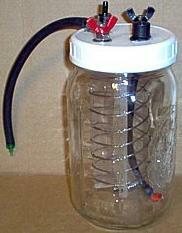 Learn how to build an electrolyser fuel cell. Learn how to get free energy from splitting hydrogen and oxygen atoms that make up water. Also includes plans for converting your car to run on water. We have also included plans for a simple device that can be constructed from pvc plumbing parts to produce large amounts of hydrogen. This device ran a small gas engine successfully. Lots of How-To info. In Poland every second car that runs on petrol (not diesel) is modified to run also on LPG. That’s because of very expensive petrol (1 litre costs above 1 EUR) and running on LPG is half price of running on petrol. LPG installation for cars with computers has special programmable module to cheat car computer and control the injection and ignition. I thought that we could use such module with modern car equipped with Joe Cell.